If you are just getting started in coin collecting, the first thing you need to do is learn all you can about the hobby. Buy a good reference book, search the Internet or subscribe to some weekly and monthly publications about the area of coin collecting that you are most interested in. If you don't take the time to educate yourself you run the risk of wasting a lot of money on coins that are either over-graded, counterfeit or have some other problem. Most of the things that you will need to learn when you are getting started in coin collecting can be found right here on this site. You can learn about the coin grading services and how coins are graded. It will take some time to fully understand and become good at grading coins, but it is important for you to know how to find the value of the coins you collect. You can also learn about Mint Marks on coins, what affects a coin's value, how to care for your coins, and what supplies and accessories you will need in your new hobby. This is a coin that was struck from two dies not intended to be used together. For example, it would have the front (obverse) of one denomination and the back (reverse) of another denomination. These are very rare. or slab Coin slabs are hard plastic, tamper-proof cases, that are sonically sealed and hold a coin which has been graded and certified by a third-party grading service.. Here are a few more resources you might want to check out. The scientific study of currency and its history in all its varied forms. Price Guides: Price guides list coins and their values for varying degrees of condition. For beginners, the yearly book - A Guide Book of United States Coins , also known as the Red Book - is probably a good choice. Once you begin to buy and sell coins on a regular basis, you might want to consider subscribing to a weekly or monthly periodical that will give more current prices. Grading Guides: Grading guides are a must for serious collectors. Without knowing the grade of a coin, it is impossible to know its value. My favorite, and one I would recommend for someone just getting started in coin collecting is Photograde . With Photograde you just match your coin to the photograph that best fits your coin's condition to find the grade of that coin. Note: Coin grades will vary slightly from one guide to another. Although we now have a standardized scale for grading coins in the United States, it is still open to human interpretation. Therefore, different collectors or dealers may have a slight differing of opinion on grades. Start small when you are getting started in coin collecting and then work your way up to more valuable coins as your knowledge increases. The change in your pocket or purse is the perfect place to start. Learn all about modern coins and their history, practice your grading, then work your way back to older and more rare coins. Get a solid foundation before you spend much money. Books, Magazines and the Internet are all good sources of information, but when you are just getting started in coin collecting, nothing beats first-hand, live, in-person mentoring from someone who has been collecting for a while. Here are a few places you can meet new people with similar interests and learn more about the hobby. Coin Clubs: Join a local coin club in your area. They are a great source of information and inspiration. Check your local yellow pages, ask your local dealers, or search the American Numismatic Association (ANA) Club Directory to find one near you. Coin Shops: Local coin dealers are a great source of information. 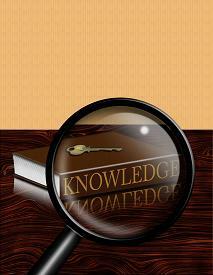 Find one near you that is reputable and knowledgable and willing to share that knowledge with you. Just keep in mind that just because someone owns a coin shop, it doesn't necessarily mean that they are experts. They may not know any more than you do about collecting coins. Members of coin clubs usually know which dealers in the area are reputable. Coin Shows: When a coin show comes to a city near you, make a point to go. The people who attend these shows all have one thing in common - coins. You will also see some really interesting coins. Click Here to find out when a coin show will be in your area. Note: Do your research before you go if you plan on making a purchase. Educational Seminars: Be sure to attend the educational seminars that are presented at these coin shows. These seminars are presented by experts and you will find a wide variety of topics discussed. You will usually even have a chance to ask the expert questions after the seminar. The American Numismatic Associations Seminars: Each summer the ANA holds two week-long summer seminars at Colorado College in Colorado Springs across from its headquarters. They offer courses for people just getting started in coin collecting as well as more advanced courses. Courses range from Adventures in Numismatics and the Sights of Colorado Springs for beginners to Advanced United States Coin Grading and Problem Coins for the more seasoned collector. They also offer the "Coins in the Classroom" course for teachers which teaches them how to incorporate coins into lessons in social studies, math and other subjects. Here are some ideas for Getting Started in Coin Collecting. Collect a specific president or a certain denomination. For example, you might choose to limit your collection to all pennies, or nickels, or any other denomination. Or, you might choose to collect only Kennedy Half Dollars. Collect Coins from a Specific Time Period: You might also like to collect ancient coins or coins from a specific period in history, such as U.S. Colonial Coins. A series is a set of years a coin was minted with a specific design and denomination (such as the Morgan Dollar example described here). Some other examples are U.S. State Quarters, Buffalo Nickels or Lincoln Pennies. A Type Set is one of each coin of a particular design, series or period. Collect by Metal: You could collect only coins made of a certain metal such as copper, silver or gold coins. Collect by Theme: You could choose a particular theme for your collection, such as coins with animal, plant, flower, car, or boat designs or maybe even Olympic Commemorative Coins. Collect Coins by Country: Collect coins from your favorite country or maybe more than one country. Collect Error Coins: Error coins are coins that were produced in the same way and on the same machinery as other coins, but they have some sort of error for some reason, such as a misalignment when the machinery was stamping or doubling of the image or missing components. Collect Medals and Tokens: Another idea is to collect commemorative tokens or war medals. These 'coins' are not legal tender and have no monetary value, but they can have value as collectibles. Yet another way of getting started in coin collecting is the "shotgun" method of collection where you just collect coins which specifically interest you. I love the Morgan Dollar. It is not the only type of coin I collect, just my favorite. It will be a good example for you to get an idea about collecting a series of coins. When you collect coins in a series, you try to find one coin from every year and mint mark of a particular coin. The Morgan Dollar is one of the most collected series. These silver dollars were minted from 1878 to 1904 and again for one more year in 1921. They are highly prized by collectors today and sought after the world over. Set of years a coin was minted with a specific design and denomination., you would want to try to find one from each of the mints listed above for each year from 1878 to 1904 and the year 1921 (however, some coins may not have been minted every year at every mint). The Morgan Dollar would be a great way of getting started in coin collecting. If you are interested in ancient history, ancient coins would be a perfect coin collection for you. The era of Roman emperors and gladiators and Greek gods and goddesses is a fascinating time in history and it is reflected in Ancient Coins. When you are first getting started in coin collecting, you can't go wrong with U.S. Coins. This area of coin collecting is well researched and documented with books, trade papers and magazines. The market is very active and offers many affordable coins that are readily available to both beginners and seasoned collectors. There are many beautiful and interesting designs in U.S Coins that make it appealing to almost everyone. U.S coins also offer an exciting look at American history. They lead us from the struggle for independence by the American colonists to present day. Let's take a closer look. There are literally hundreds of countries in this world. Together they offer thousands of coins to entice collectors. This huge offering of coins can be a little overwhelming to someone just getting started in coin collecting, but with a little research you should be able to narrow the field down to a few coins that interest you. Unlike the United States, most other countries are not as obsessed with quality when it comes to coins. They usually use a much simpler grading system which means that you can find some great values in world coins. For example, let's say you find a rare world coin for around $100. A comparable United States coin would literally cost you thousands of dollars. Once again I caution you to: Buy the book before you buy the coin. Be sure you understand how coins are graded and valued in whatever country you have an interest in. Just remember, getting started in coin collecting is not hard. In fact, it can be quite fun and educational. And there are no set rules about what your collection should contain. The most important thing is to have fun with it.